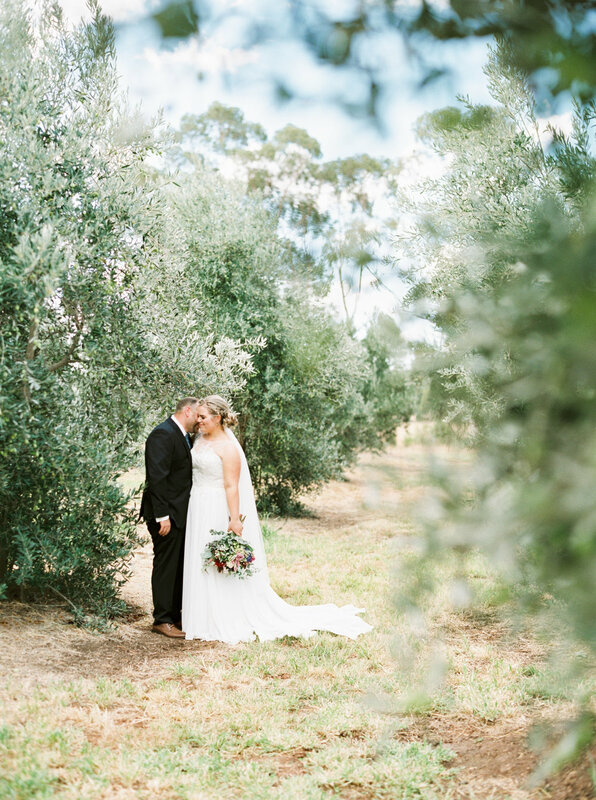 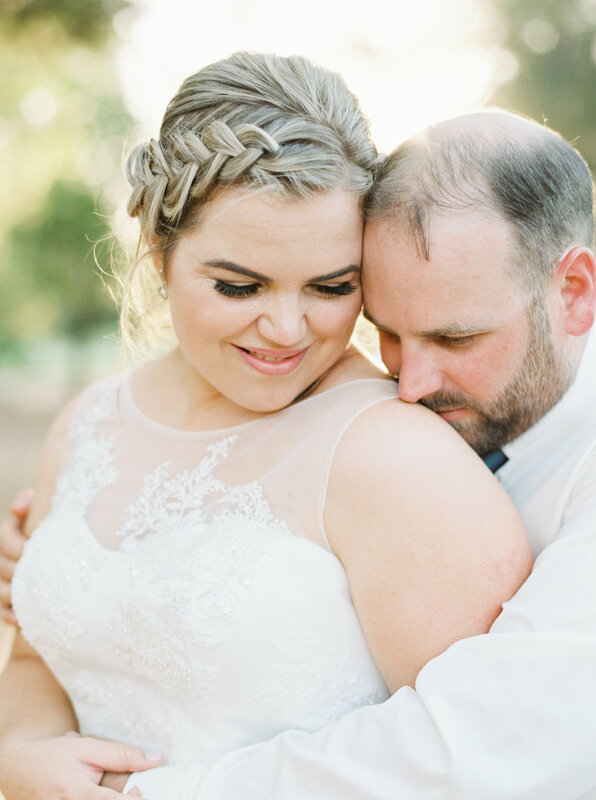 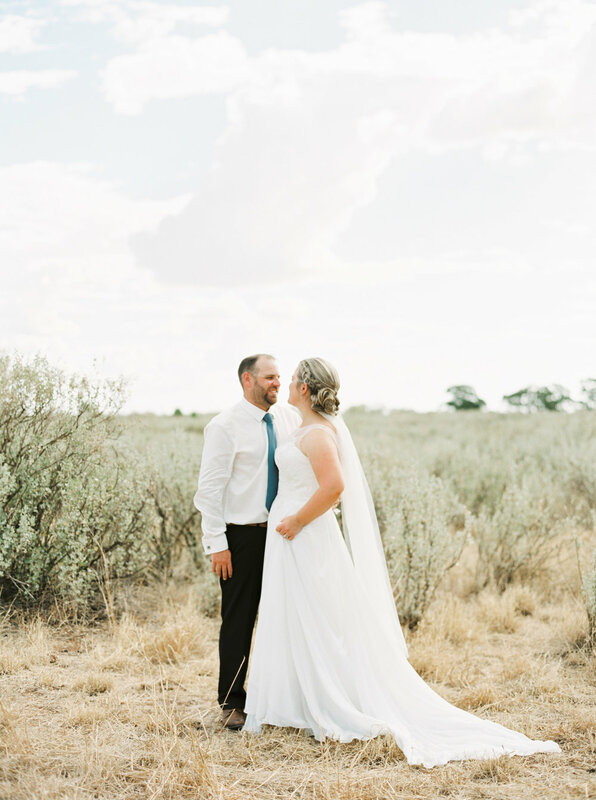 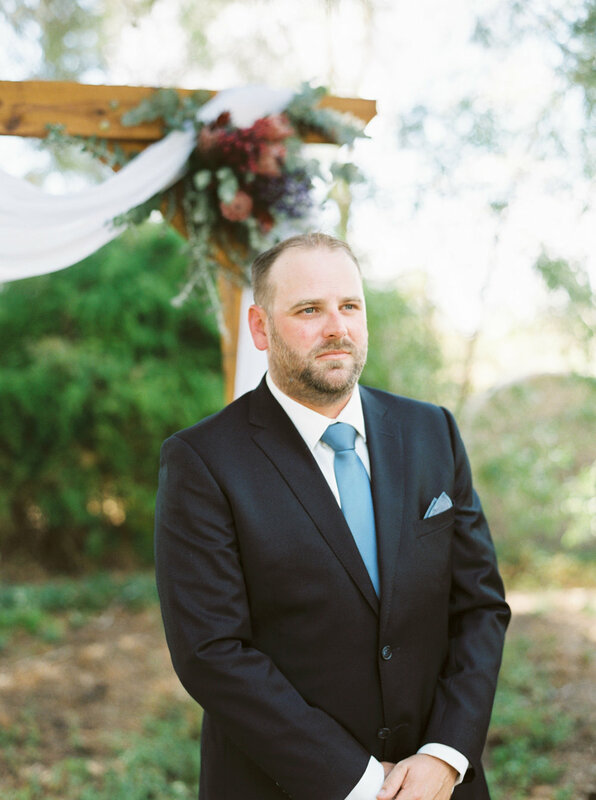 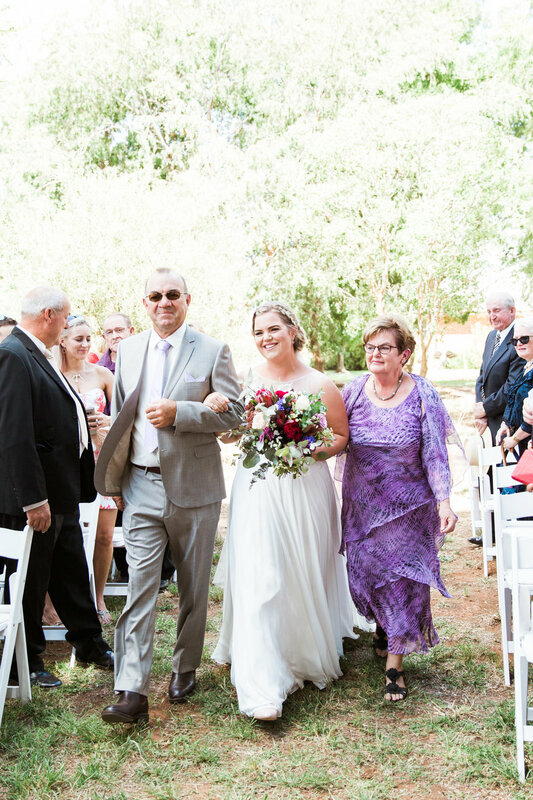 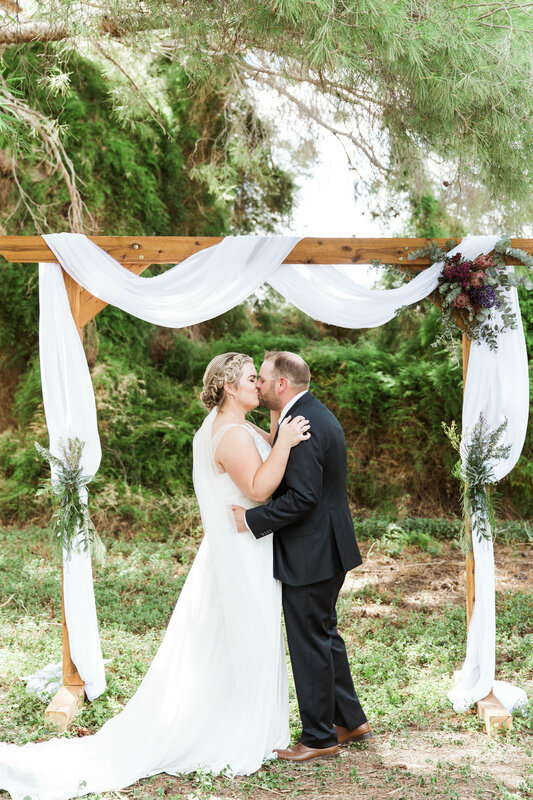 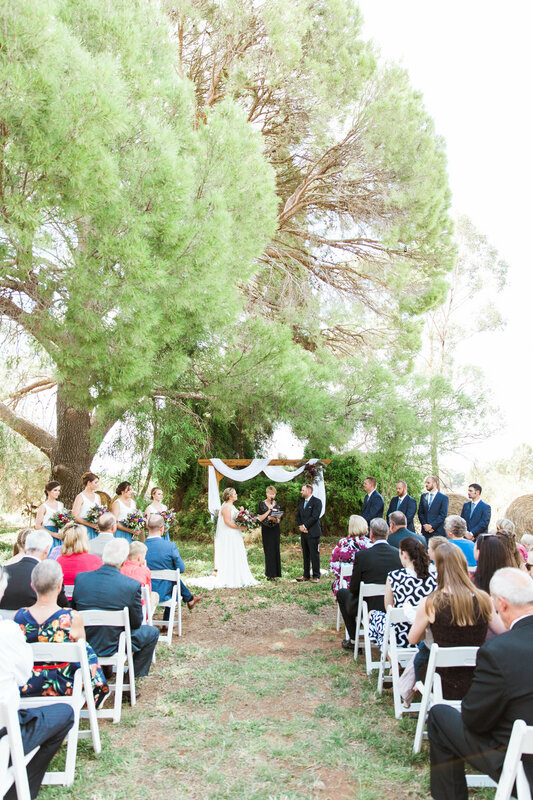 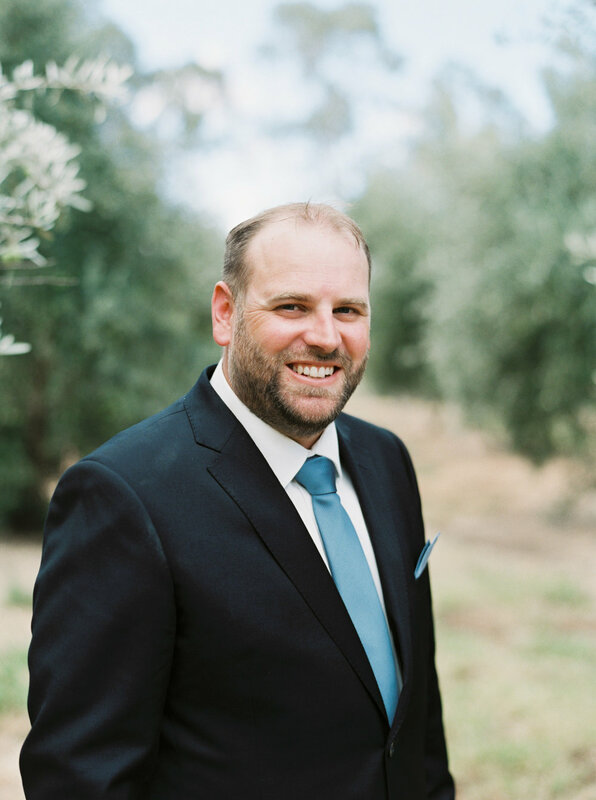 The NSW countryside holds some spectacular places for a wedding day and when it’s on your parent’s property and they have an olive grove, those silvery green olive leaves make for the perfect setting for bridal photos. 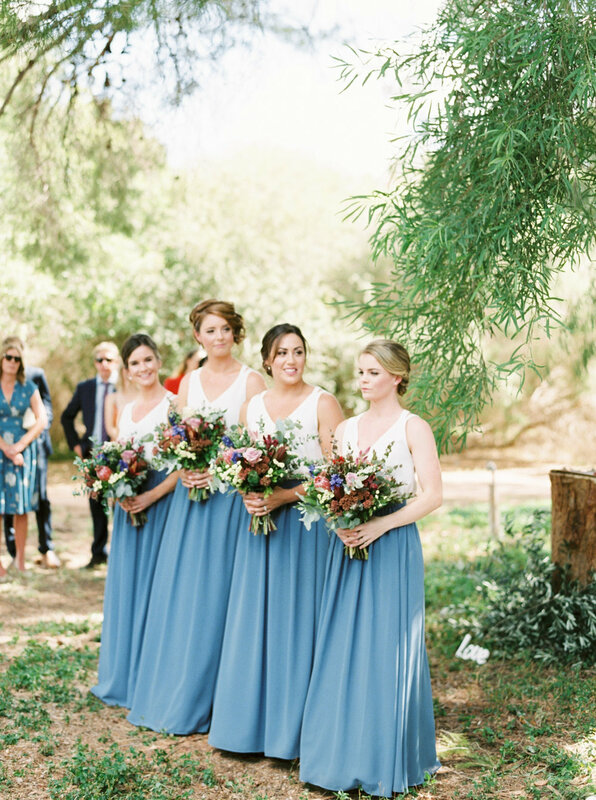 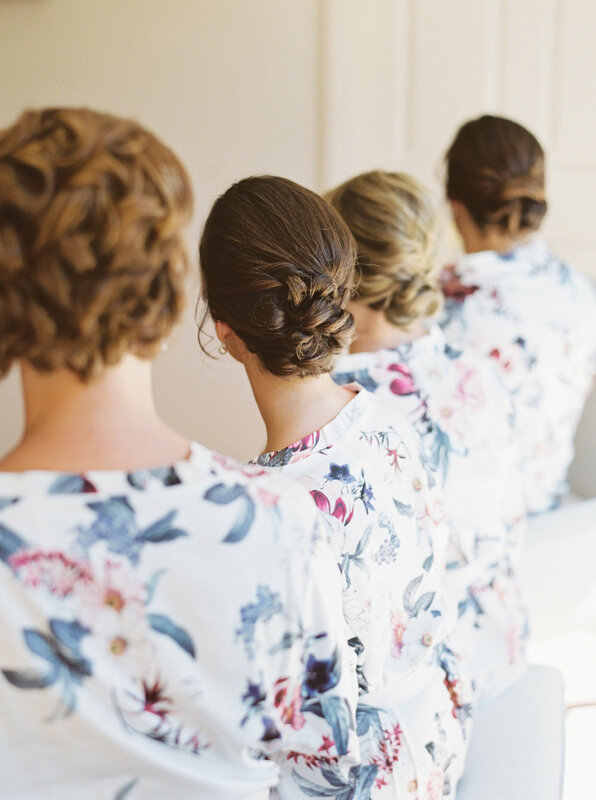 Scroll away to view a wedding day featuring bridesmaids in the ever trending two-piece. 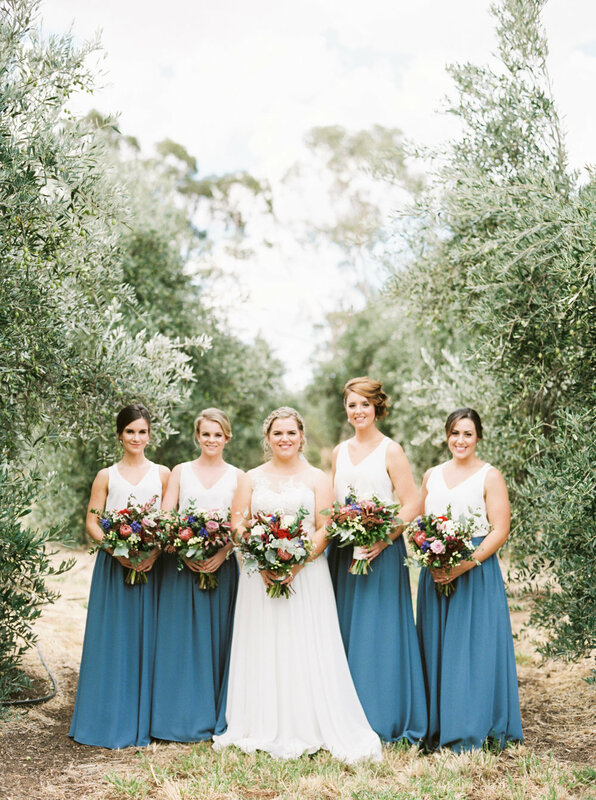 A stunning blue skirt and elegant white top with a colourful pop in the luxurious floral arrangements to contrast.